The Marigold Industrial Vulcain 2100 Elastofix L18 Gloves are highly tear-resistant cotton jersey gauntlets designed to provide protection against abrasions and cuts. 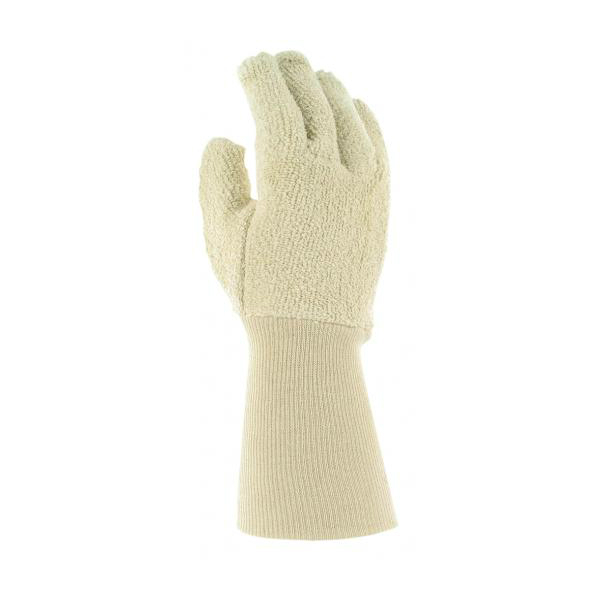 These gloves also shield the hands against contact heat up to 250°C, and, as a result, are suitable for applications in the automotive, glass, transport and metal fabrication industries. The table below shows the test results of the Vulcain 2100 L18 according to EN 388 Mechanical Risk specifications. The table below shoes the test results of the L18 Gloves according to EN 407:2004.